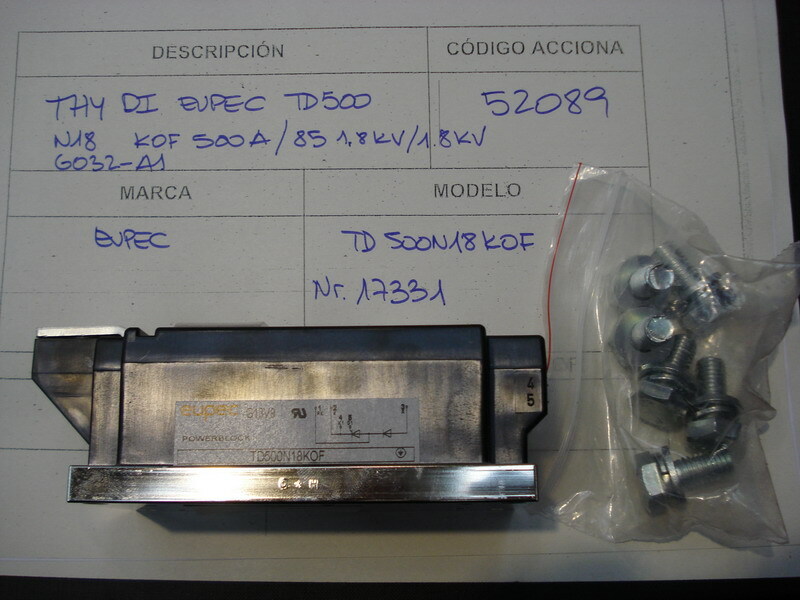 Este recambio lo fabrica EUPEC con el número de referencia TD500N18K0F NR.17331. Cable, tower-ground. TIPO: H07V-K, 50mm2. Cable, nacelle-tower. TIPO: H07V-K, 50mm2. Cable, generator 2. TIPO: A07RN-F, 3x95mm2. Cable, earthing, generator 2. TIPO: H07V-K, 50mm2. Cable, light tower (67M tower). Cable, light tower (78M tower). Cable, socket outlet, (78M tower). Cable, supply, A1-A2 (78M tower).